When describing the work I do, I often pause before using the term upcycling. While a lot of the products Boe offers definitely fit the true definition of upcycling (to reuse discarded objects or material in such a way as to create a product of higher quality or value than the original), I feel a lot of product that is out there on the market masquerading as upcycled is a long way from. It is far too common to see a product given a shiny coat of paint or turned into something less functional than its original form being described as ‘upcycled’, but what is really disheartening is when a big multinational company choses to misuse the term for its own marketing. 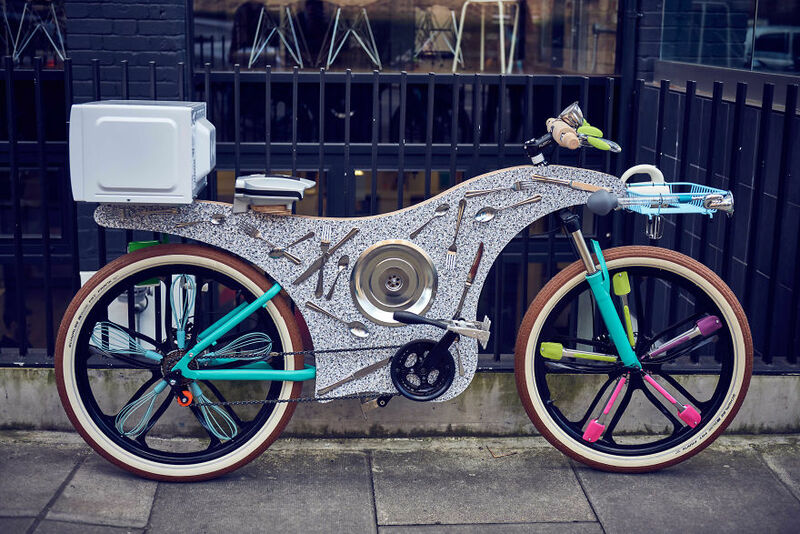 I was alerted today to Deliveroo’s ‘upcycled’ bicycle, a part of a marketing campaign they are currently undertaking in the UK. 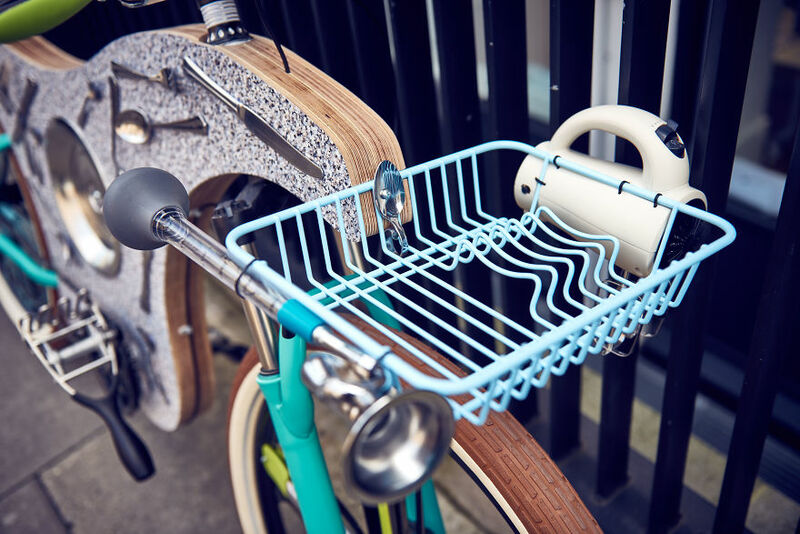 I have studied the available photos of this ‘upcycled’ creation, and from what I can see it is a completely functional conventional bicycle with a random array of kitchen utensils bolted on. 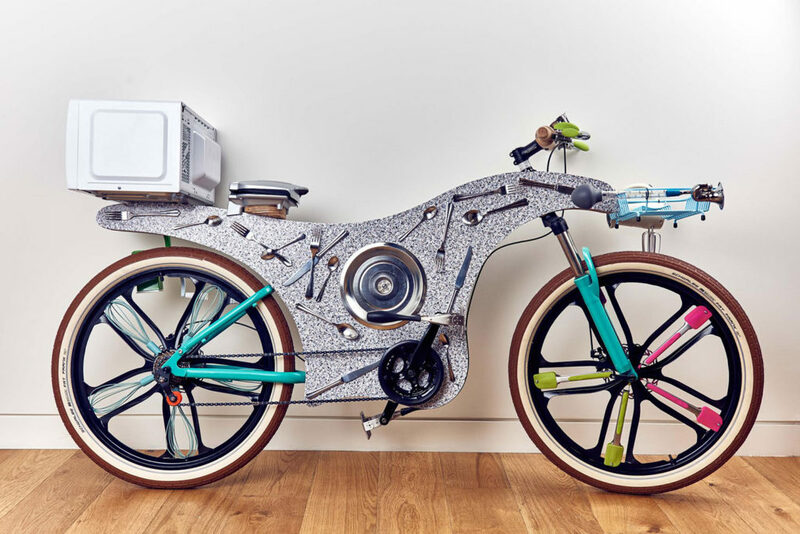 Assuming the rider is game enough to sit on the sandwich toaster, I can see three utensils that may be serving some purpose (the centre of the handlebars may actually be a rolling pin, and there may be a spoon acting as a washer on the front rack), everything else is decoration. To me, there is not one kitchen appliance on this bike that is has higher value or quality when attached to the bicycle than it originally did. Worse still, it appears that most, if not all. of the ‘upcycled’ components of the bicycle are brand new, not even salvaged or reclaimed from someone’s dusty kitchen drawer. 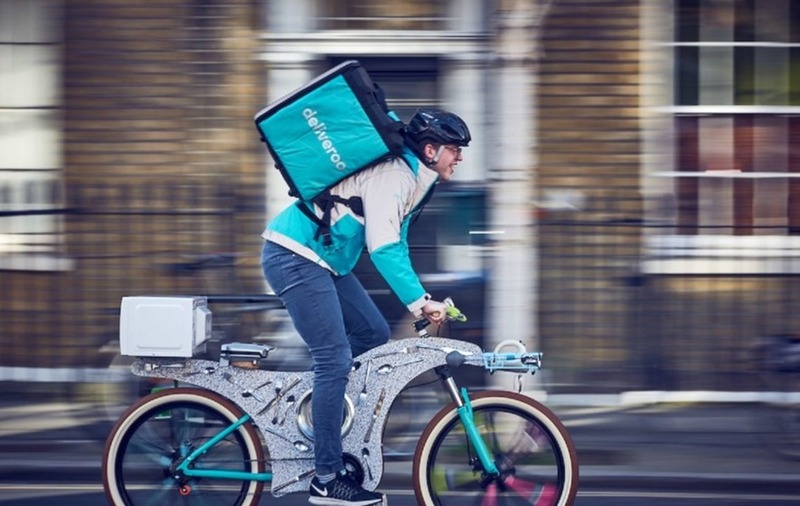 I would love to see big businesses like Deliveroo properly embrace concepts like re-use and upcycling. There’s no reason that their bicycle fleet couldn’t be 1980’s 10 speed roadbikes or 1990’s mountainbikes, for example. I would also love to be involved in assisting businesses of all sizes move towards more environmentally sustainable business models by incorporating re-use and repair into their product ranges. If anyone can suggest how we can encourage this I am all ears.